1) see irresistible kale chips in the healthy, snacky section of the grocery store...promptly add to basket/cart. 2) use every ounce of self control not rip open the bag and eat said kale chips while still shopping. 3) curious as to how they taste, remove from grocery bag so that you can try just one on your drive home. 4) ...fast forward two minutes...you reach in the bag to realize you're somehow grabbing the last chip. Then, wanting to experience every last crumb, you turn the bag vertical directly into your mouth. 5) wonder why you didn't buy more and/or why they came in such a tiny freaking bag!? 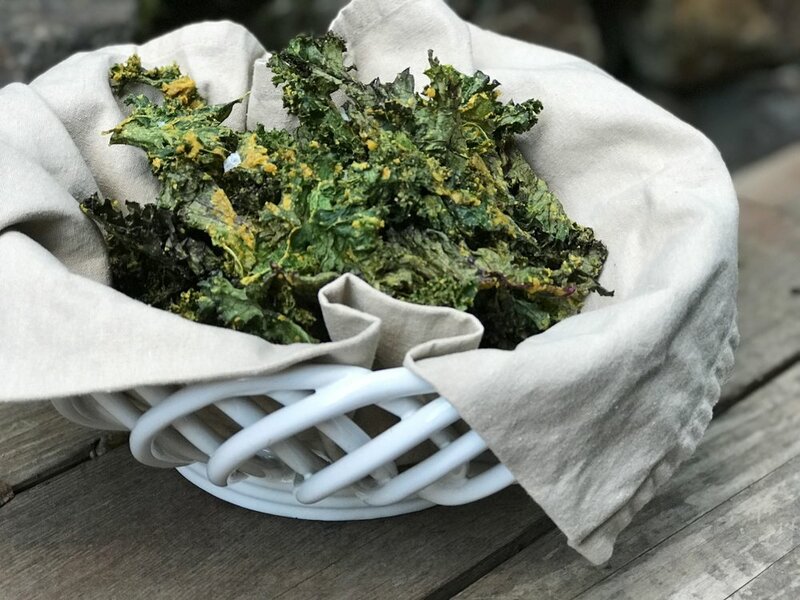 6) realize that in order to fuel your new addiction, you'd have to start factoring kale chips into your monthly budget and donate an entire cupboard to their existence. 7) the next time you see kale chips in the aisle, you quickly look away pretend you never met. Kale chips and I have been in a fight for a while now. I get upset when something I love and could down in one sitting comes in such a tiny package and is so expensive (exhibit A). So I decided to end the fight once and for all and make them for myself. Now I can eat them to my heart's content. And I'm happy to report, in creating this recipes, I actually ate so many that we're on a (brief) hiatus. I will say, the hardest part was getting the thickness of the "cheesy" sauce just right. 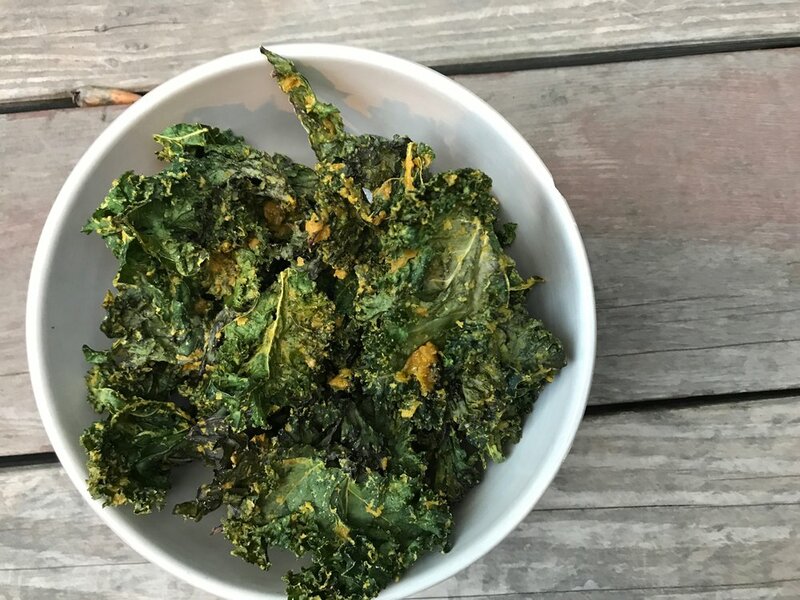 It was a Goldilocks situation; the first round was too crumbly and wouldn't stick to the leaves, the second was too watery and, after cooking the kale FOREVER, left me with limp, floppy and very un-chipper "chips"...and the last round was just right. When all was said and done I had cooked (and eaten most of) SIX bunches of kale - you see why we're on a temporary hiatus. So my word to the wise - pay attention to the water and don't add any more than what's in my recipe. Because, nobody wants an un-chipper chip. Left: not enough water (too crumbly), Right: too much water (soggy), Middle: juuust right. Preheat oven and two baking sheets at 225 degrees F.
Wash and dry kale, making sure kale is completely dry for maximum cheese-stickage. Place in large bowl. 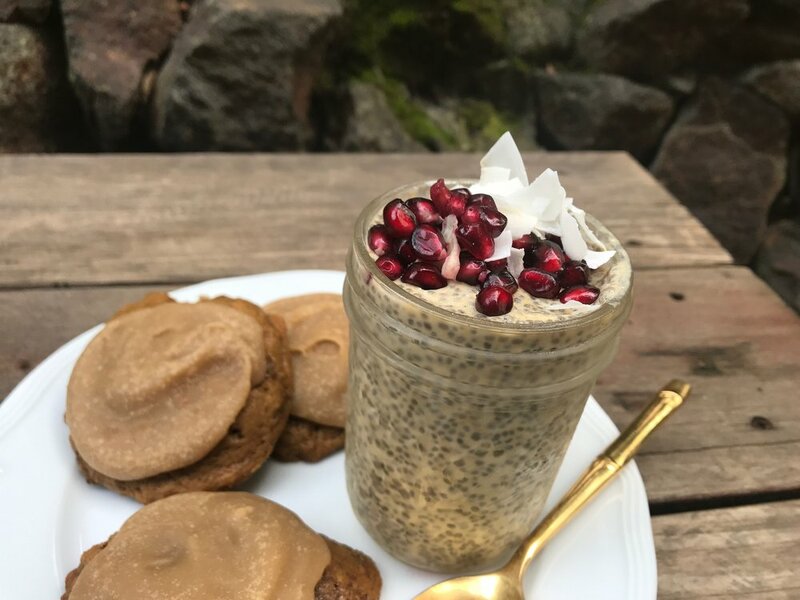 Combine remaining ingredients in blender or food processor. Blend on low until smooth. Pour "cheese" sauce over kale, massaging with hands to coat. Spread kale out onto two baking sheets. Cook 1 hour total. Flip chips with spatula after the first 45 minutes. Remove from oven and lightly dust with Maldon salt. They should stay crunchy for a few days if you're not in a humid environment, but are best served fresh from the oven or within the first 24 hours after making. These make the perfect after-school/after-work, pre-dinner or anytime snack. Added bonus - they are a totally delicious way to get more greens in your day! Did you know that eating greens before, or at the beginning of, a meal helps you digest the other food you're eating? It's true! 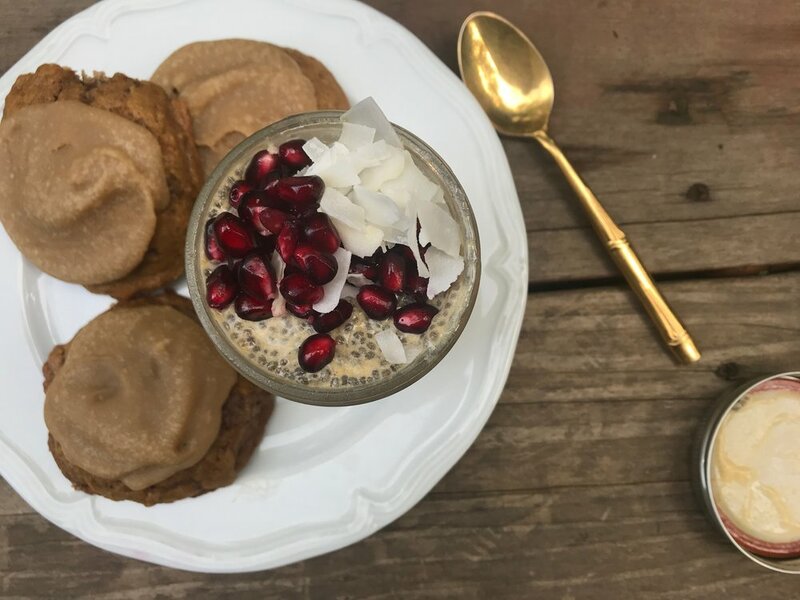 So just by adding a snack like this to your diet, you'll improve your digestion and absorption of nutrients.